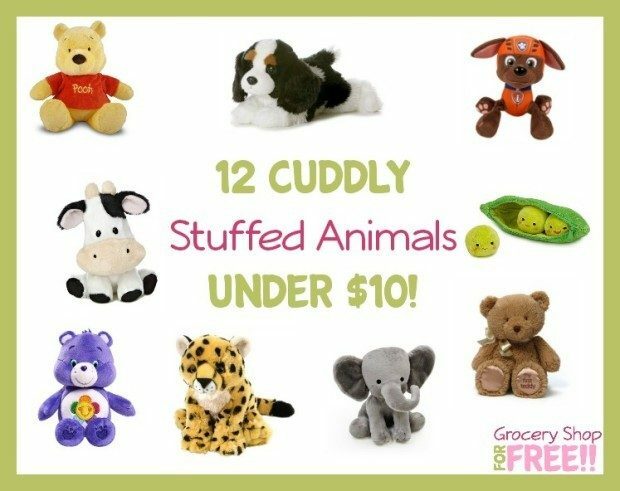 12 Cuddly Stuffed Animals Under $10! 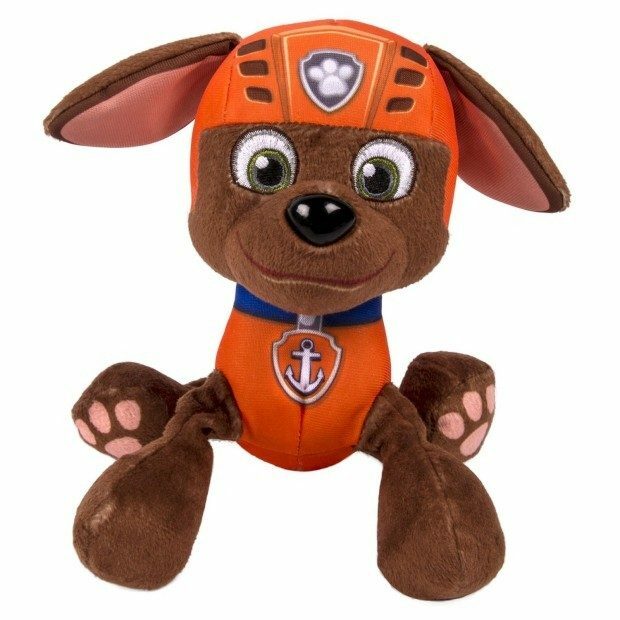 You are here: Home / Great Deals / Amazon Deals / 12 Cuddly Stuffed Animals Under $10! I think every kid needs a teddy bear, or a monkey or a bunny that is soft and furry and cuddly. I still have the teddy bear I got when I was 3 months old, which means my Ted is way older than most of you! A plush is the first toy I give to any kid! 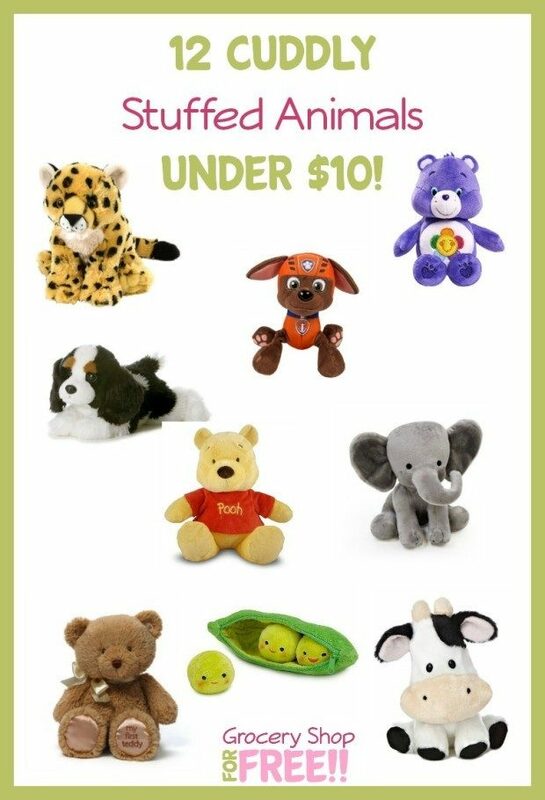 Take a look at this list of 12 Cuddly Stuffed Animals Under $10! 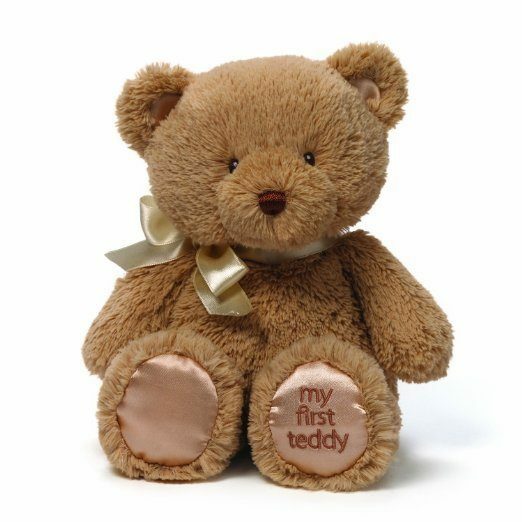 Gund My First Teddy Bear Baby Stuffed Animal, 10 inches – GUND knows that it’s never too early to make a lifelong friend. My First Teddy is a soft and huggable 10 inch companion that’s always ready for naptime, playtime, and any time in between! Wild Republic CK-Mini Cheetah Baby 8″ Animal Plush – You will love to cuddle with this soft and adorable Cheetah. Comes with lifelike facial and authentic baby features. 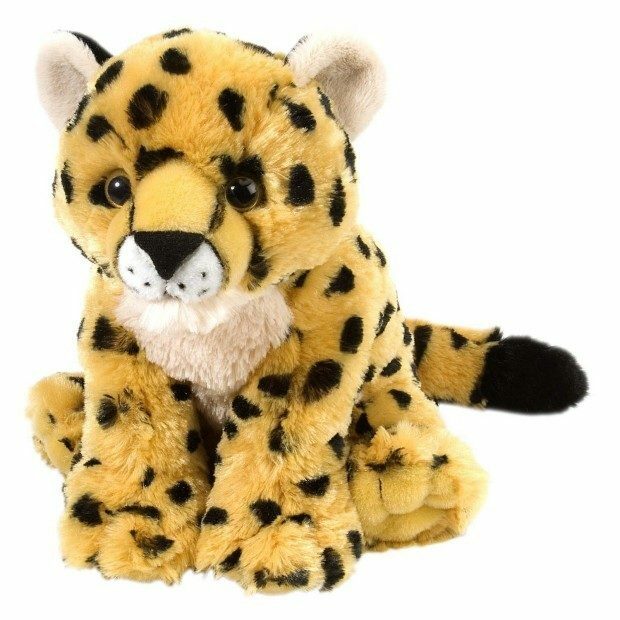 With its ultra-plush stuffing, the Cuddlekins Baby Cheetah is so cute and huggable! 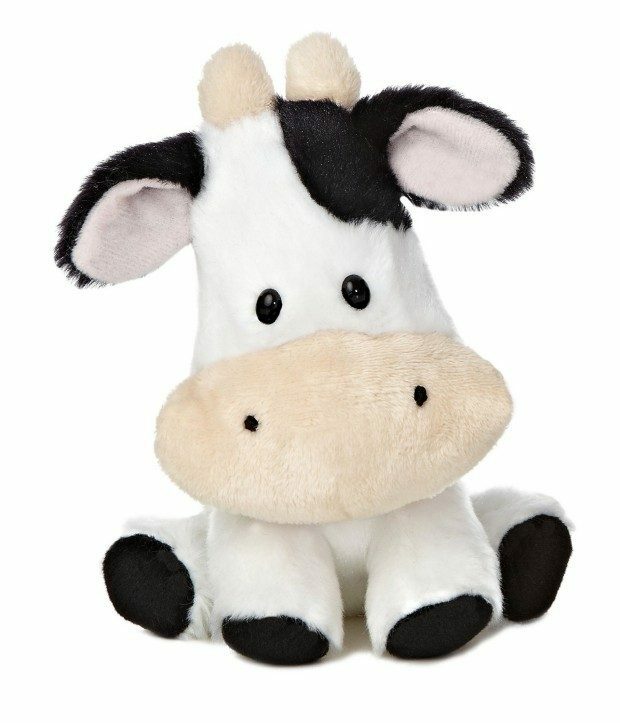 Aurora World Wobbly Bobblee Cow Plush, 6″ Tall – Can help your kids develop a sense of balance as well an awareness of their body in relation to their environment! 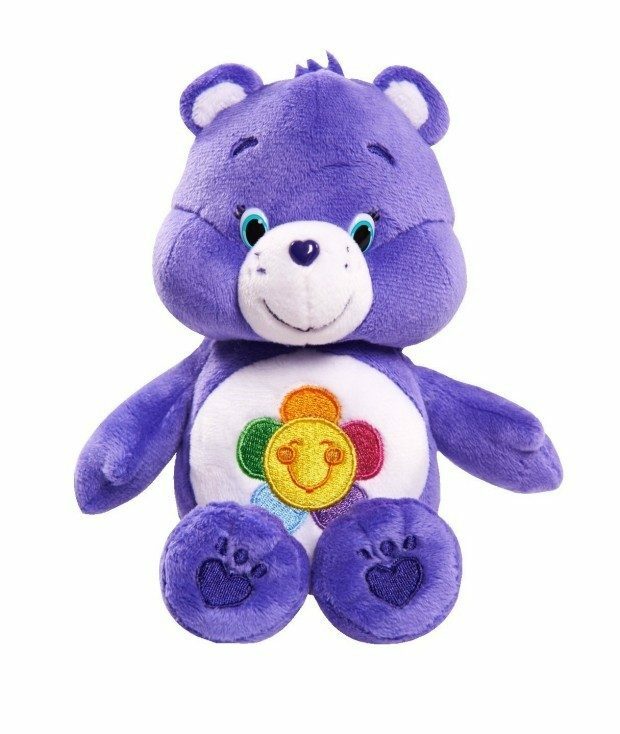 Just Play Care Bear Beans Harmony Plush – Collect the rainbow with this Care Bear Bean Harmony Plush. These bears come in bright colors and the softest fabric. Perfect for collecting and cuddling! -From run away trains to stranded whales, we’ll rush to the rescue with waging tails! That’s the promise of the Paw Patrol . 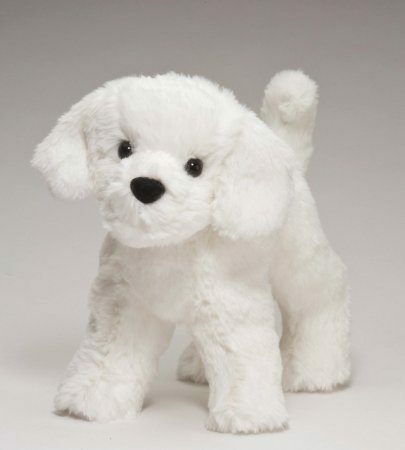 Plush Dog Stuffed Animal Dandelion Puff Bichon 8″ – I love my own real life Bichon, this is a cute replica of my Sophie! 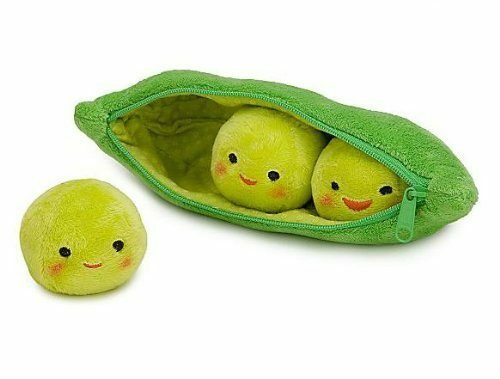 -The three little peas make this Toy Story 3 plush three times as cute. The pod has a zipper so you close it up to keep the little peas safe. 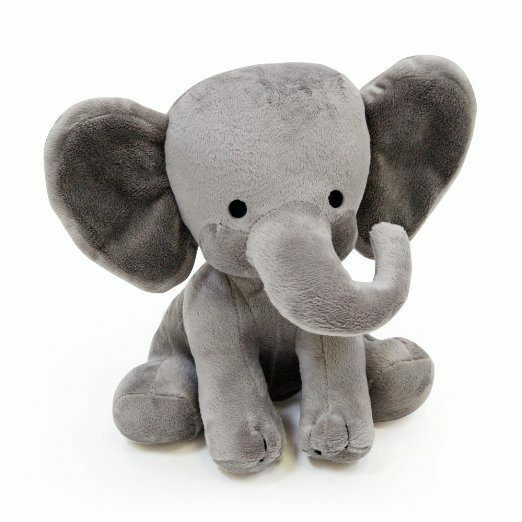 Bedtime Originals Plush Toy, Humphrey Elephant – well, he’s just so cute! 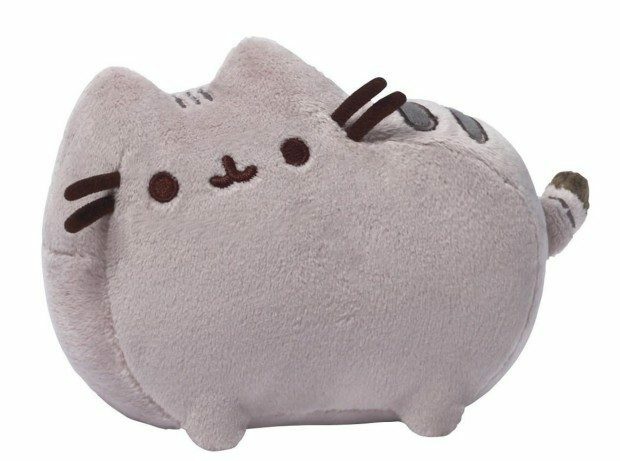 Gund Pusheen Cat 6″ – The chubby, tubby tabby who has taken over the internet! 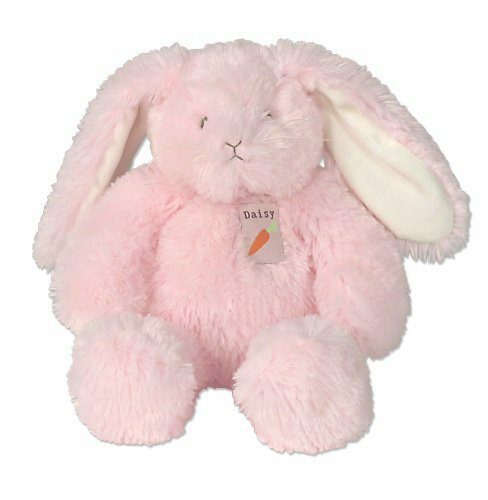 Child to Cherish Buttermilk Farm Daisy Plush 11″ – soft and cuddly! This is a great deal as an Add-On Item! 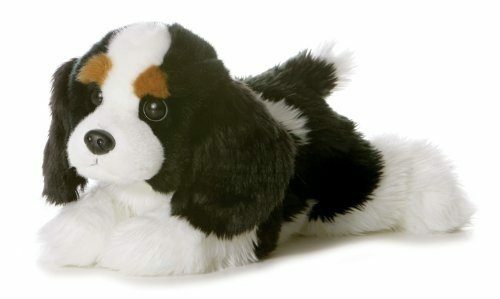 Aurora Plush Charles Flopsie – 12″ – King Charles Cavalier stuffed dog cute and cuddly part of the Flopsie domestic stuffed dog collection! 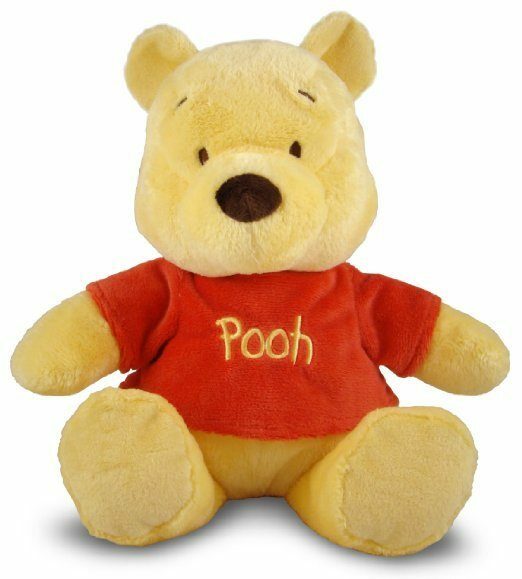 Disney Plush, Winnie The Pooh – This Pooh is the floppiest and softest around. He features a jingle in his grumbly tummy and crinkle in his ears. He is just the right pal to dream of overflowing honey pots with! Kids every where love their little cuddly creatures! Any of these will make a great friend for life!